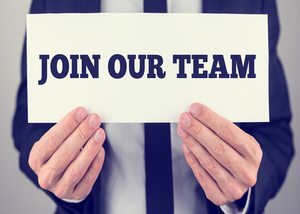 Marc Waring Ventures, the company behind the small business software and service review site FitSmallBusiness.com, is seeking a QuickBooks Online expert to join our editorial team. Founded in 2013, FitSmallbusiness.com helps over 450,000 visitors each month find the best software and services for their small business. We are a fast growing NYC-based startup, with offices right across the street from Grand Central. The QuickBooks Online Analyst will lead our efforts to build out the most authoritative QuickBooks Online and accounting, bookkeeping, and tax tutorials anywhere on the internet. Writing in depth tutorials on all aspects of the setup and management of QuickBooks Online. If you are looking to make the transition from accounting or bookkeeping, and start an exciting new writing career, this is the position for you. Must be Quickbooks ProAdvisor and/or have Quickbooks training experience. Please send your resume and cover letter to jobs@fitsmallbusiness.com.